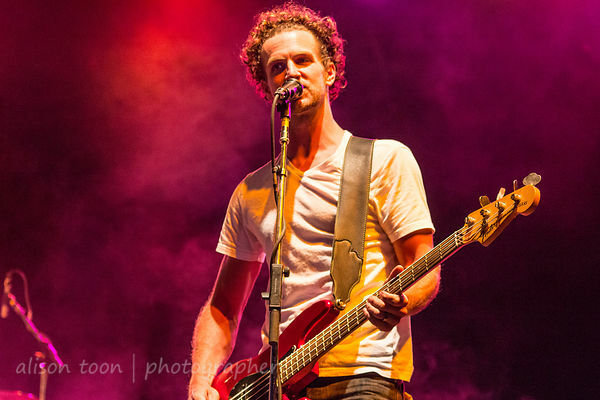 Toon's Tunes : Blackjack Billy, redneck rock, did I tell you that this was my kind of show yet? 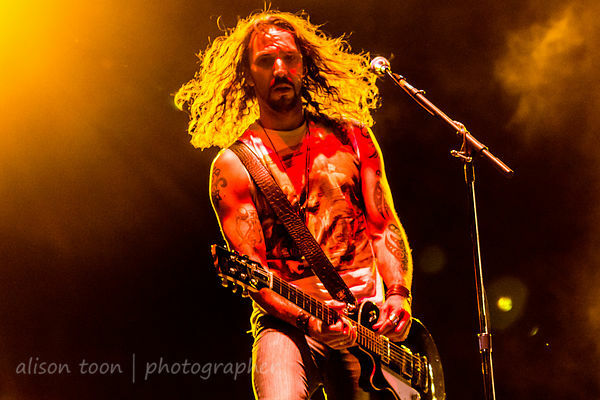 Blackjack Billy, redneck rock, did I tell you that this was my kind of show yet? Sometimes, you choose a book by its cover, an album by its sleeve, a dish on a menu in a strange restaurant, "just because". Not because you know the author, the artist, the flavour; "just because" something, somewhere, appeals. If you try to analyse why you made the choice, you fail, because it doesn't make any logical sense. 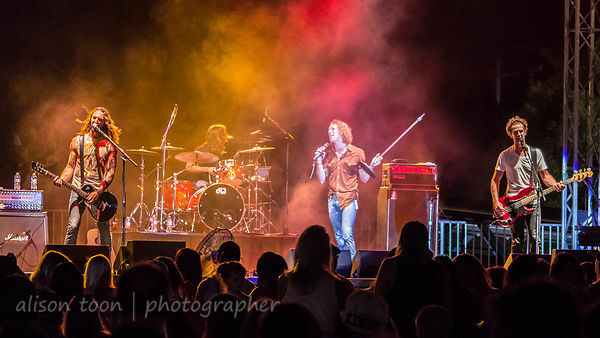 That's how it was when I requested permission to take photos at Blackjack Billy's show at the California State Fair last night. I hadn't heard their music, I knew nothing about them, and those of you who have been reading Toon's Tunes for a while will know that country isn't really my thing, apart from a couple of exceptions. And "Nashville", of course. 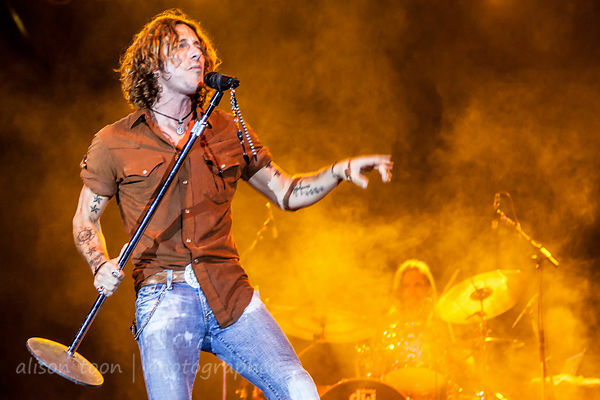 Blackjack Billy's website and Facebook talk about redneck rock. I was thinking, maybe something along the lines of Lynard Skynard? Allman Brothers? Driving to the show, I plugged Blackjack Billy into Pandora. Darnit. Out popped Tim McGraw. Keith Urban. (No Blackjack Billy.) Sigh. I went back to my Gemini Syndrome station and blasted Stardust at the traffic on Fulton. Then Blackjack Billy arrived on stage and within seconds, I knew that my seemingly random choice had been totally-and-utterly right. They were outstanding. Musically, vocally, light-wise, animation-wise, fun and entertaining. Brilliant!!! Really! Why were more of you not there to see it? The place was packed to the gills the evening before for Pat Benatar, but there was plenty of room last night. Those of you who were in town, and not there; well you missed a treat. If this is what's labelled "redneck rock": I love it!!! 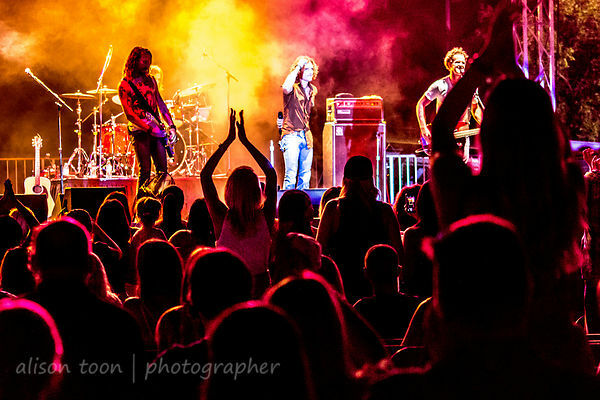 Those of you outside of Sacramento: go check Blackjack Billy out. And that includes you guys in Canada and in Australia. And Patchogue, NY. They are on their way to see you! Blackjack Billy's EP, "Get Some", is available now from your usual music store. 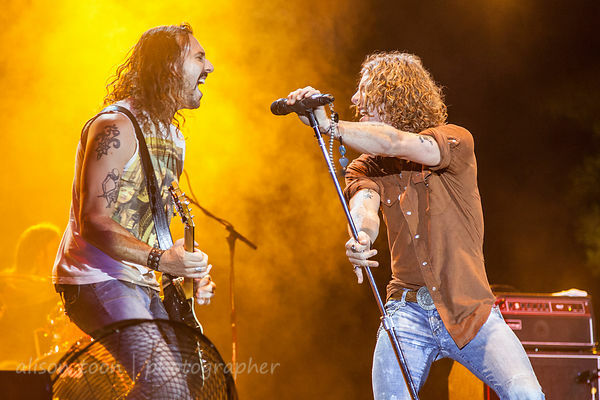 In case anyone has any doubt at this point: Blackjack Billy, my kind of show. Thank you for allowing my lenses into your space. I hope you enjoy the result.